Tested, proven performance and value! 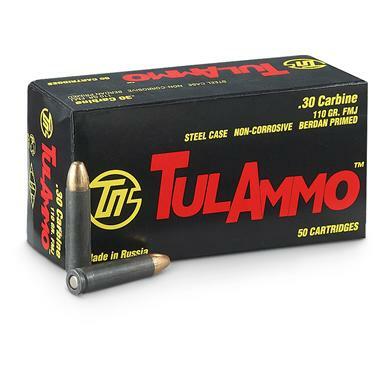 TulAmmoTM .30 Carbine 110 Grain FMJ Ammo, PRICED LOW! .30 M1 Carbine Ammo that's on target and value heavy! It's tested and proven to perform even in extremes of temperature. Smooth-feeding steel cases. Berdan-primed, non-reloadable, non-corrosive, current production. 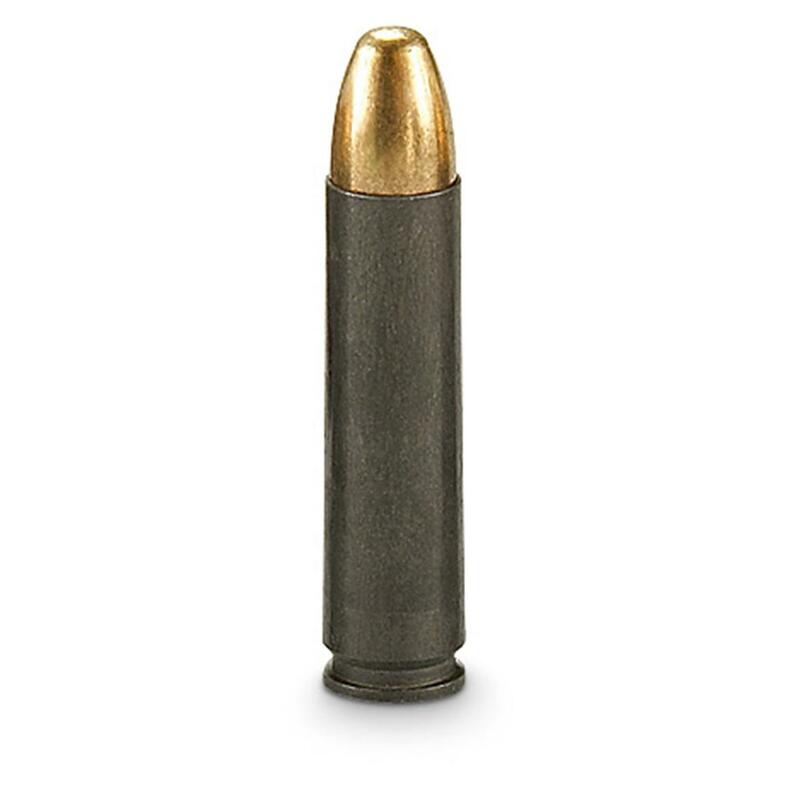 110-grain Full Metal Jacket bullet. Muzzle Velocity: 1,990 F.P.S. Muzzle Energy: 967 ft.-lbs. Load up on this deal now! TulAmmo, .30 Carbine, FMJ, 110 Grain, 1,000 Rounds is rated 4.7 out of 5 by 3. Rated 5 out of 5 by PAUL S / LISA K from Got an update that said it would be New Years Day before shipment...had to cancel and buy another brand that was in stock. Too bad, great price for ammo from a good manufacturer. Maybe later...As always though, shopping at the Guide is great. Just called Cust. Service and they cancelled that portion of the order no problem. Rated 5 out of 5 by JOHN P from I have used every brand of Russian manufactured ammo on the market, including their Military Surplus offerings. TulAmmo is the premium brand. Made by Russia's largest manufacturer, you can be assured of the finest components. Accurate, clean burning and inexpensive. Great product. Patented polymer Flex Tip® design for big, controlled expansion.